Cerebral Palsy is a physical disability that affects movement and posture. Cerebral palsy (CP) is an umbrella term that refers to a group of disorders affecting a person’s ability to move. It is a permanent life-long condition, but generally does not worsen over time. It is due to damage to the developing brain either during pregnancy or shortly after birth. Cerebral palsy affects people in different ways and can affect body movement, muscle control, muscle coordination, muscle tone, reflex, posture and balance. Did you know, Cerebral Palsy is the most common physical disability in childhood? At Cerebral Palsy Alliance our priority is to help babies, children, teenagers and adults living with cerebral palsy lead the most comfortable, independent and inclusive life possible. Our therapy teams work with individuals and families to maximise their participation in the community. To ensure people with cerebral palsy have access to high quality and innovative services and programs, Cerebral Palsy Alliance provides professional development and training for employees within the disability sector. We also fund important cerebral palsy research in Australia and overseas through our Research Foundation. Cerebral Palsy Alliance operates from more than 70 sites throughout metropolitan, regional and rural NSW and the ACT. We rely on your generosity to raise funds for services and research. 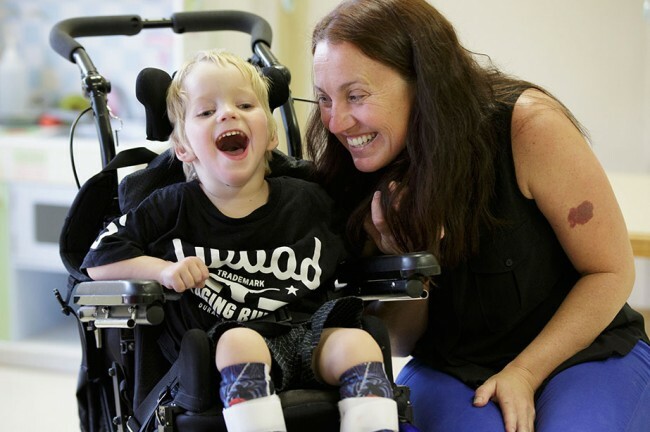 Cerebral Palsy Alliance is an organisation that provides family-centred therapies, life skills programs, equipment and support for people living with cerebral palsy and their families.